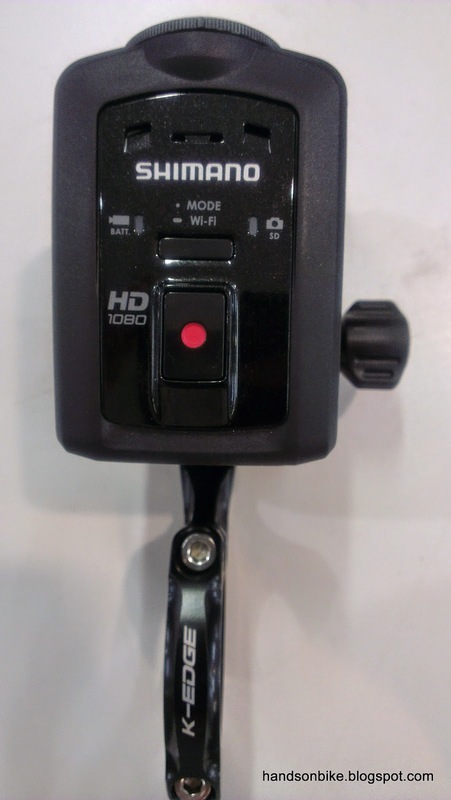 Ever since I got the Shimano Sport Camera CM-1000, I have been using it quite frequently. 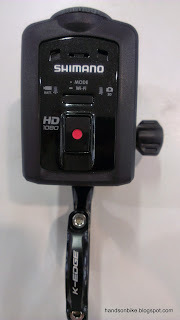 The video quality is better than the Polaroid XS100i, and it is also more compact and more lightweight. 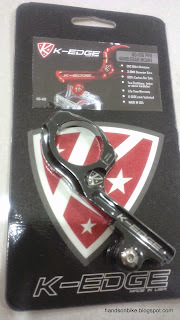 So far, I have been using it by mounting it on the helmet. 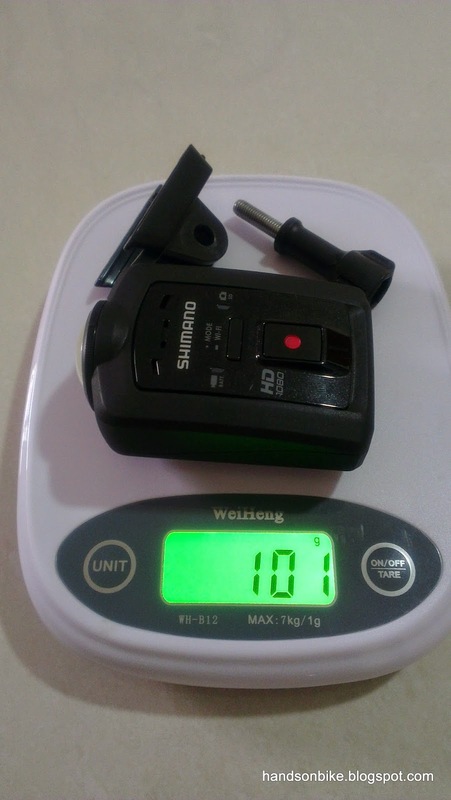 As the camera weight is not too heavy, it is still acceptable to use it on the helmet without being too uncomfortable. I have been exploring other places where I can mount the camera. 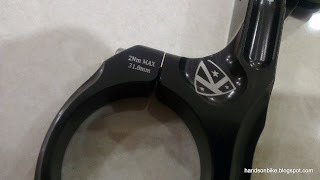 This will remove the additional weight from the helmet, making it more comfortable. Since this camera uses a standard GoPro style of mounting, it is easy to find many aftermarket mounts that are designed for GoPro. This gives a wide range of mounts that enables the camera to be mounted almost anywhere you want. 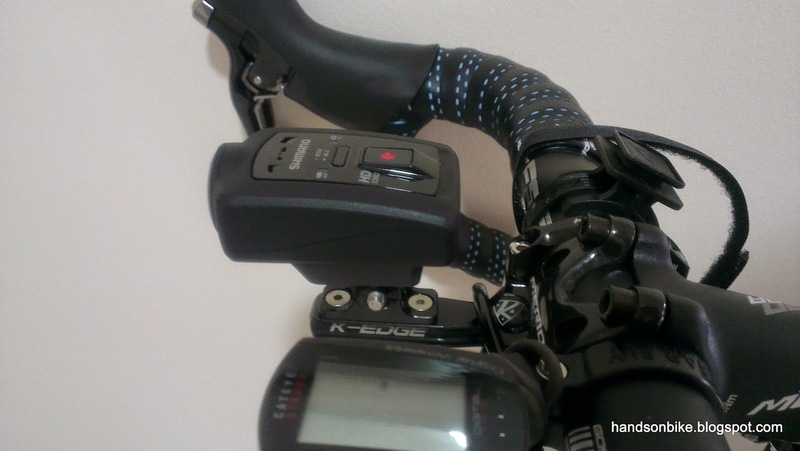 The obvious place to mount a sport camera would be on the handlebar for front footage, or under the saddle for rear footage. 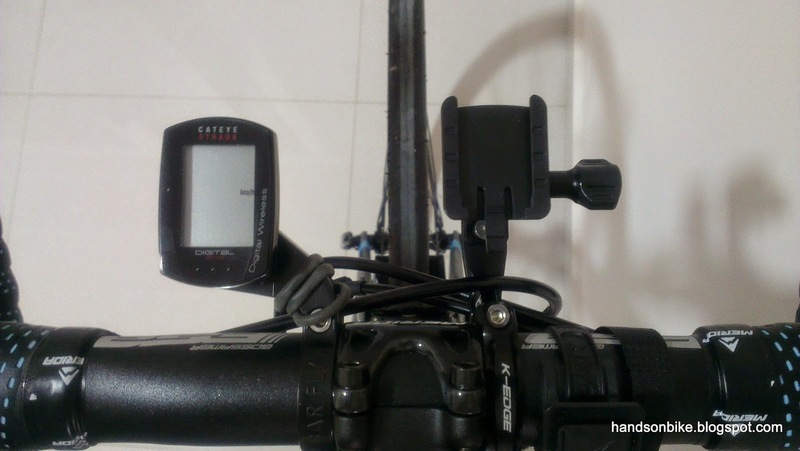 I decided to get a handlebar mount to try mounting the Shimano Sport Camera on the handlebar. 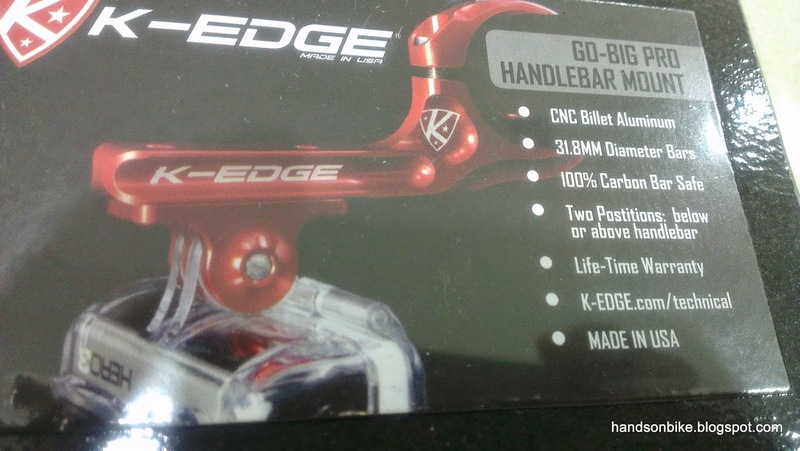 There are a few handlebar mounts out there for GoPro cameras, and their functions are all the same. 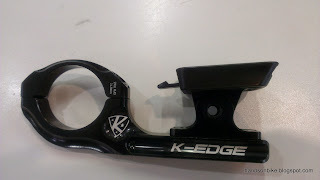 I decided to get the nicest looking (and unfortunately most expensive) handlebar mount from K-Edge. 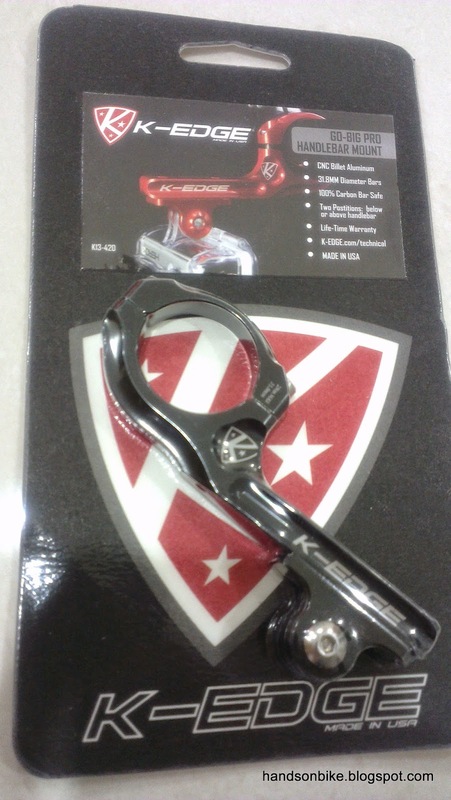 CNC machined out of aluminium, made in USA and even with lifetime warranty! 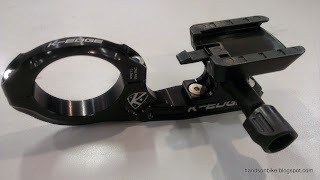 Nice looking aluminium mount. 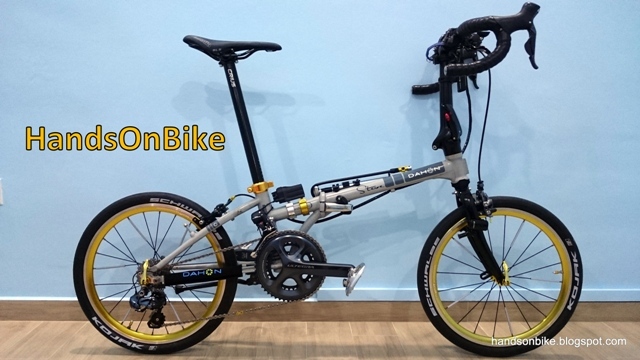 Can be mounted like this or inverted, depending on your preference. 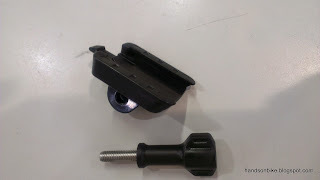 With this GoPro style of mounting, it will match with the Mount A from the Shimano Sport Camera. 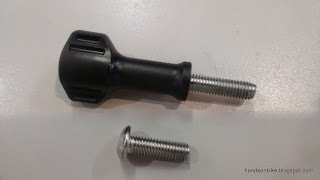 An Allen key type of bolt is provided, instead of a finger operated knob. I decided to mount the bracket and Mount A this way, so that the buttons for the camera faces upwards. There is a choice of using the finger operated knob or the Allen key bolt. 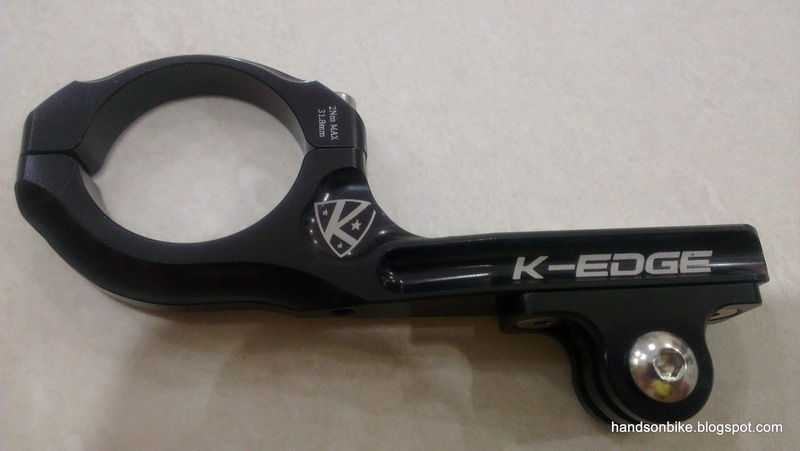 The knob was chosen as it allows tool free adjustment of the camera angle, and also easy removal of Mount A. Adding the weight of the K-Edge mount, the Mount A and the camera gives a total weight of about 150 grams. 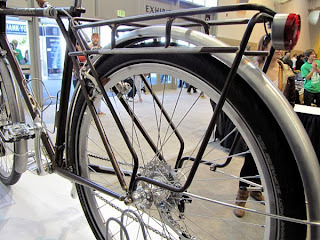 Not too heavy considering the added functions provided by the camera. Also, I get to remove the weight from my helmet. 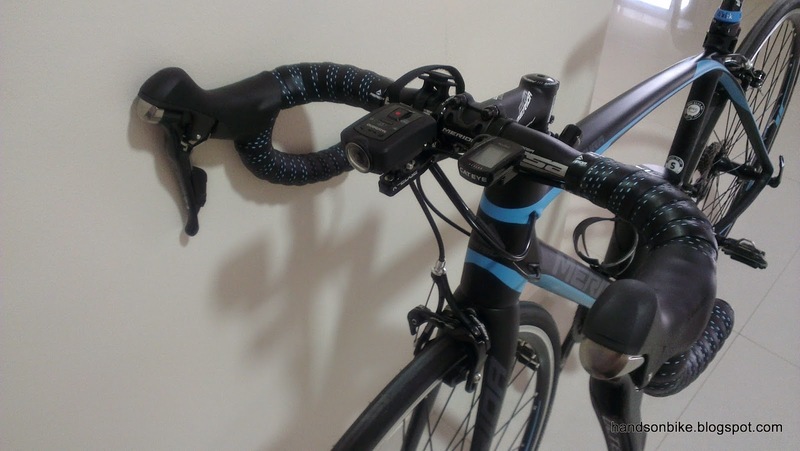 Adds a bit of clutter to the handlebar, but is it worth mounting it there? 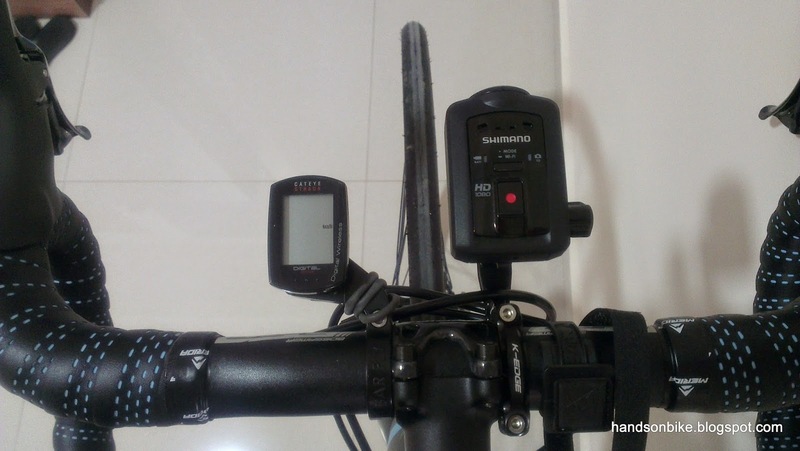 When I mounted the camera to the handlebar, I was not sure if the video footage would be more jittery or more stable. On one hand, the video does not move around along with my head, but on the other hand, the camera will also receive vibrations from the bike. 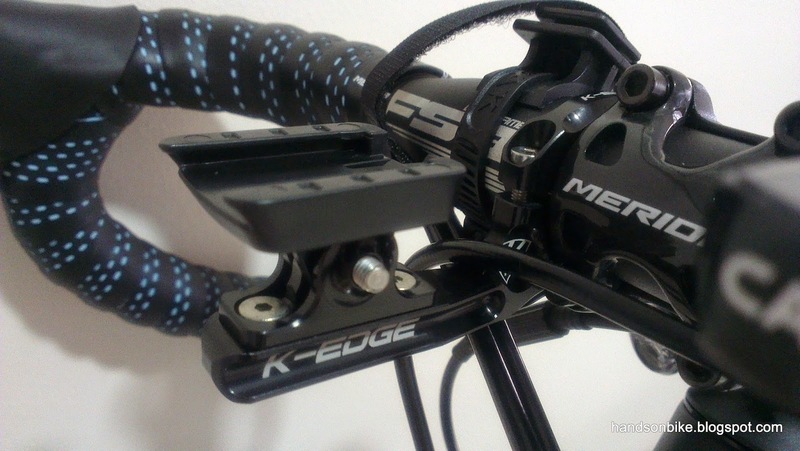 The actual video footage shown below was recorded when the Shimano Sport Camera is mounted on the Merida road bike with the K-Edge mount. The video quality is surprisingly sharp and also stable. With the K-Edge mounting, the camera is securely mounted to the bike which means that it does not move around when I turn my head to check traffic. 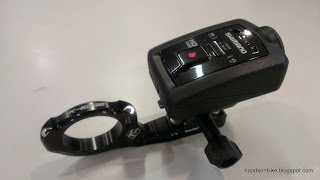 Somehow the road vibrations are not really transmitted to the camera, which makes the video footage super stable. On a side note, the colours recorded by the camera are brilliant, as you can see from the rich blue sky and the lush green trees and grass. One thing that I like about this mounting is that in Super Wide video mode (180 degrees FOV), I can see the left and right shifters. It is quite cool to see the shifters in operation as I ride along, to see when the gears are being shifted. 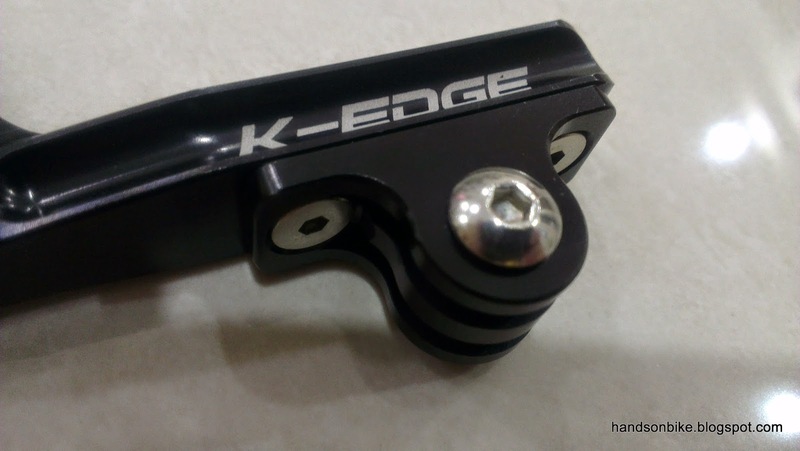 Overall I am very happy with this new K-Edge mount, as it offers a different place to mount the Shimano Sport Camera and gives a super stable video footage. 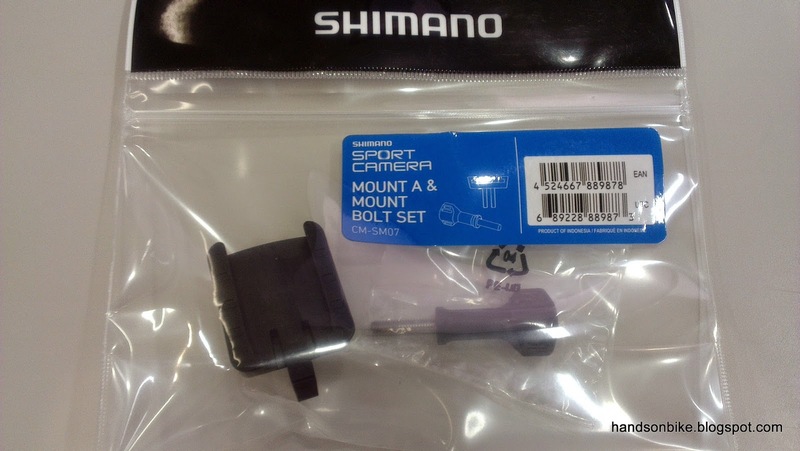 Since I now have 2 mounts (helmet mount and handlebar mount), it would be good to have 2 separate Mount A on both the helmet mount and the handlebar mount. 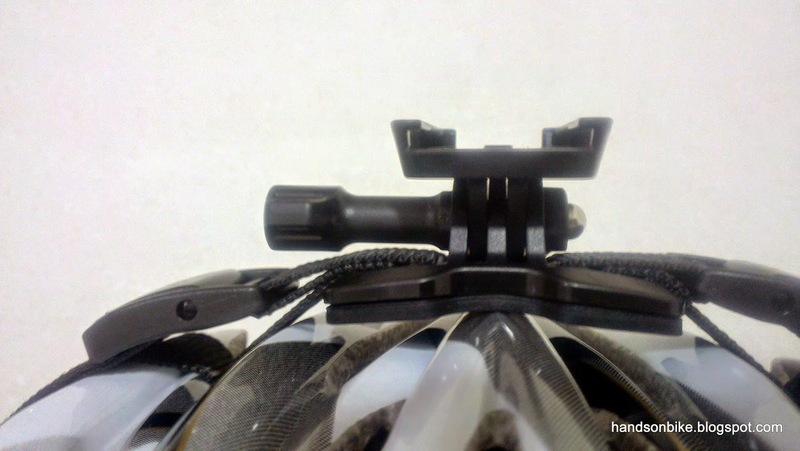 This would allow the camera to be detached easily and moved to the other mounting. Without the extra Mount A, it would still be possible to move the camera around. However, the adjustment knob will need to be unscrewed, and Mount A will need to be moved together with the camera. This will be more troublesome. As the adjustment knob does not need to be released, it is very easy to swap the camera from one mount to the other. Also, the angle adjustment is not affected as the adjustment knob does not need to be removed. I got mine from wiggle.com. Steve, great blog. 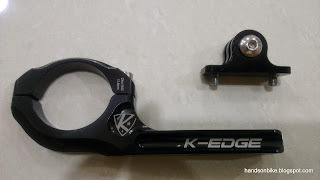 Can the k-edge be mounted on stock Tern P20 flat handle bar? 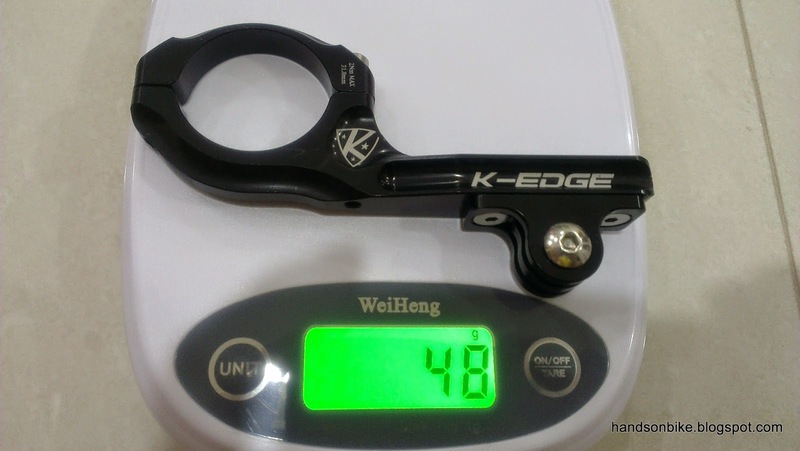 The stock handlebar is 25.4mm in diameter, while the K Edge clamp is 31.8mm in diameter. You will need an adapter to fit it on.